The launching pad for anyone looking to become a professional skier is most definitely the World Olympic skiing events. The International Ski Federation, also known as the Federation Internationale di Ski (FIS) is a well-known major skiing organization for skiers at both an amateur and professional level, whilst the Professional Ski Instructors Association (PSIA) is the governing organization for registered ski instructors. Whether you enjoy skiing as a hobby, are an amateur skier, or have even never tried the sport before, it’s entirely possible to get to a professional level. We’ve put together a step by step guide. If you have never skied before, you will obviously need to start somewhere. Begin as early as possible, as it will take a long time to master the skills required, with many professional skiers starting from an early age. Watching skiers competing in the Winter Olympic Games is also a great way to learn and employ some of the skills used by the best. If you are at school or college, you may well find that there is a society or club for skiers, which it would be an excellent idea to join. If not, there may be skiing clubs in your area or close by which you could join for the best instruction and practice. If your goal is to ski at a professional level, it is crucial that you work with an experienced and registered ski instructor, who will be able to teach you how to hone your techniques. A qualified teacher will be able to point out to you what you are doing well and where there is room for improvement, and they will also be able to guide you through the process of applying for a scholarship should you wish to do so – visit Athletes USA for skiing scholarships. Any good professional skier will tell you that practice makes perfect, and that without practice they would not be the skier that they are today. You should practice skiing whenever you can, and make it a top priority over any other activities and sports that you take part in. Even the most world-famous skiers started off by competing at a local level, and in order to gain recognition as a skier and also competition experience you should enter local skiing contests, which you will normally be able to find further information about by speaking to your skiing instructor or skiing club. 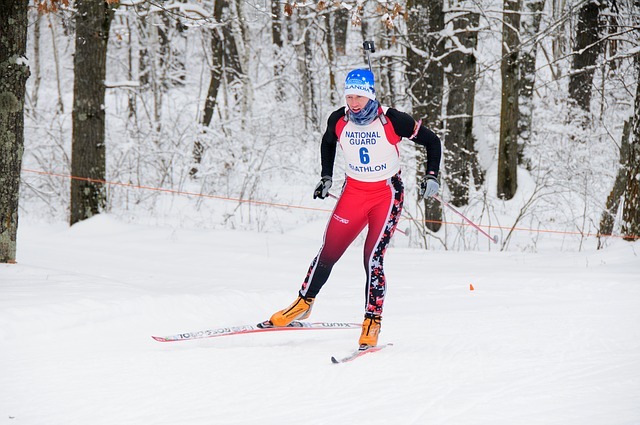 If you are a member of a skiing club, it is most likely that they will encourage members to compete in local contests or even hold contest themselves. As you gain more experience, you will be able to start competing in professional ski events with the support of your ski instructor. Becoming a professional skier takes a lot of hard work and dedication! If skiing at a professional level is your ultimate dream, be prepared for the sacrifice and effort that you will need to put in. This entry was posted in Skiing, Winter Sports and tagged Professional Skier, Skiing. Bookmark the permalink.